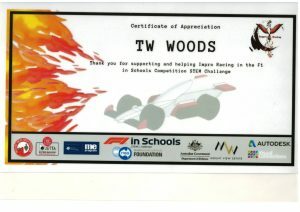 TW Woods invited the Impro Racing Team from Mount View High School to visit our workshops to gain knowledge in the work that we do here, but their main focus was to gain knowledge and receive assistance in industrial painting techniques and methods. 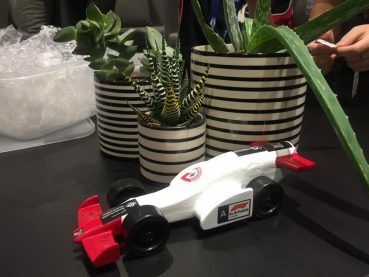 The Impro Racing team are a group of girls from Mount View High School who design, build and race the F1 in schools racing cars. They recently came 4th in the National Development Series, in their first attempt at racing these cars. What a fantastic effort by the girls, and we are happy to have helped in a small way. 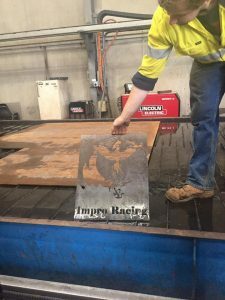 While the team were visiting, we had their team logo cut out by our plasma machine.